To determine the current status of surgical training amongst European Urology Residents, including their satisfaction with training and their confidence in performing procedures. A 23-item survey was distributed to the 15th European Urology Residents Education Programme (EUREP) 2017 participants. An analysis of demographics, workload, training resources, surgical exposure, surgical caseload, satisfaction and confidence in performing each procedure was performed. A total of 152/350 participants completed the survey (response rate 43%), of which 14% think they perform enough surgeries during their training, and 83% would like to continue training with a fellowship. Confidence in performing procedures without supervision and satisfaction with training was associated with higher surgical caseloads. Confidence in all laparoscopic/robotic procedures (except for laparoscopic/robotic partial nephrectomy) was associated with laparoscopic and robotics training, participation in practical courses and having training resources in hospitals. Satisfaction with surgical training was statistically associated with working ≤ 50 h per week, laparoscopic training and having laparoscopic training boxes. 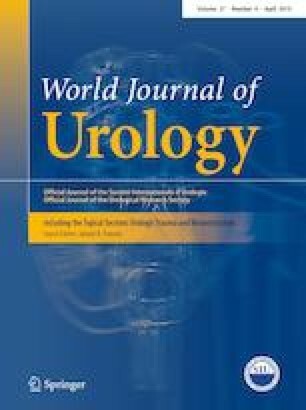 Surgical exposure of European Urology residents for major/minimally invasive procedures, confidence in performing these procedures, and overall satisfaction with training is low. A higher volume of cases, as well as resources for training are associated with higher individual confidence and satisfaction with training. The online version of this article ( https://doi.org/10.1007/s00345-019-02763-1) contains supplementary material, which is available to authorized users. We would like to thank Dr. Karl H. Pang, MBChB, BSc, MSc, PhD, MRCS (Eng), from the Academic Urology Unit, University of Sheffield, UK, and board member of the European Society of Residents in Urology for his contribution with editing of the manuscript. Protocol development: GP, JGR, JLV; Project development: JGR, MER; Data collection: CA, DD FE; Data analysis: JDS, DC; Manuscript writing: DC, GM; Manuscript editing: JGR, KP, DV, ASG, JP.